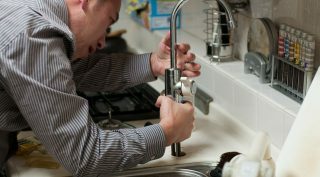 Aqua Therm Plumbing and Heating is a full service plumbing and heating company who have experienced workers with over 15 years of experience. At Aqua-Therm Plumbing, Heating & Air Conditioning we focus on providing quality plumbing services over quantity. We are fully licensed and insured Plumbing and Air-conditioning company and we use our 22 years of experience and expertise to complete your project with perfection. Customer service and honesty are the most important aspects of our family owned and operated business, and your satisfaction is guaranteed. Please call us today for an estimate. You can also use our contact form to contact us. We look forward to working with you.